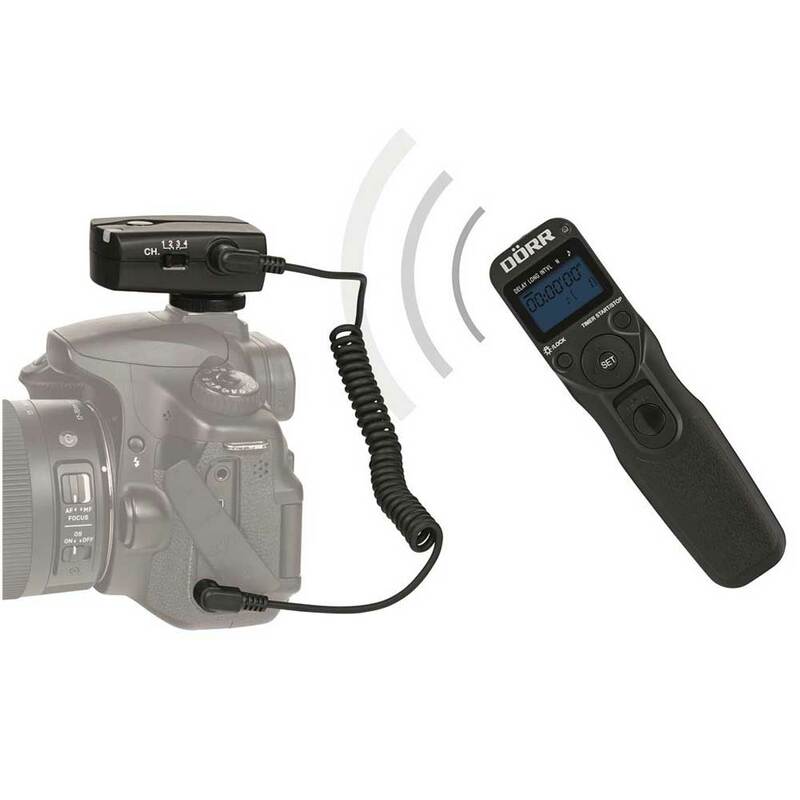 This Dorr SRT-100 Intervalometer Wireless Remote Shutter with Timer is ideal for time lapse photography, examples being, pictures of a flower in bloom or astronomy photography and many other applications. This intervalometer has a range of up to 100m and features 4 selectable channels and 4 release modes including: Self Timer, Bulb Mode, Timer Mode and Remote Release. 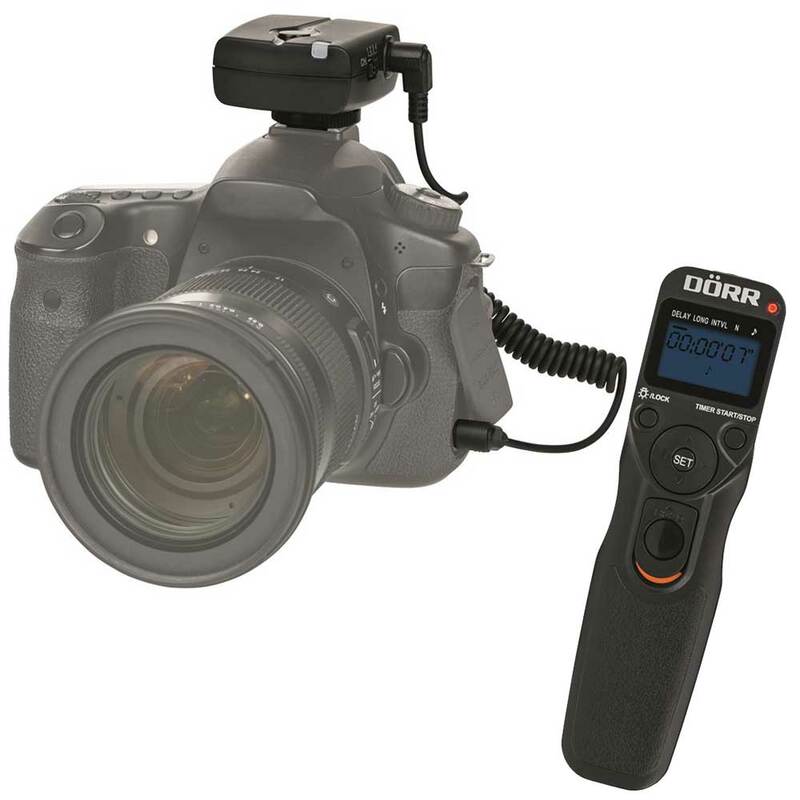 Also features an exposure counter which can be extremely useful. Requires 4x AAA Batteries (included).